Lucky & Joy, one of the most creative pop-ups of recent years, are back in Hackney for a new pop-up at 184 Hackney Road, formerly the Bad Sports bar. Expect regional Chinese cooking from chef Ellen Parr, including ribs, skewers, rice pots and more, with a weekend brunch menu too. It opens on Thursday 27th September. "East London’s much loved Chinese eatery returns this Autumn on Hackney Road for a residency at the former Bad Sports site. Chef Ellen Parr will be serving up a typically bold and flavourful menu that will include some of Lucky & Joy’s signature dishes, the famed cold sesame noodles and Xinjiang Big Plate Chicken as well new ones inspired by recent travels to far corners of regional China. The tick box menu’s offerings will be making the most of the charcoal grill with smokey skewers and lamb ribs. 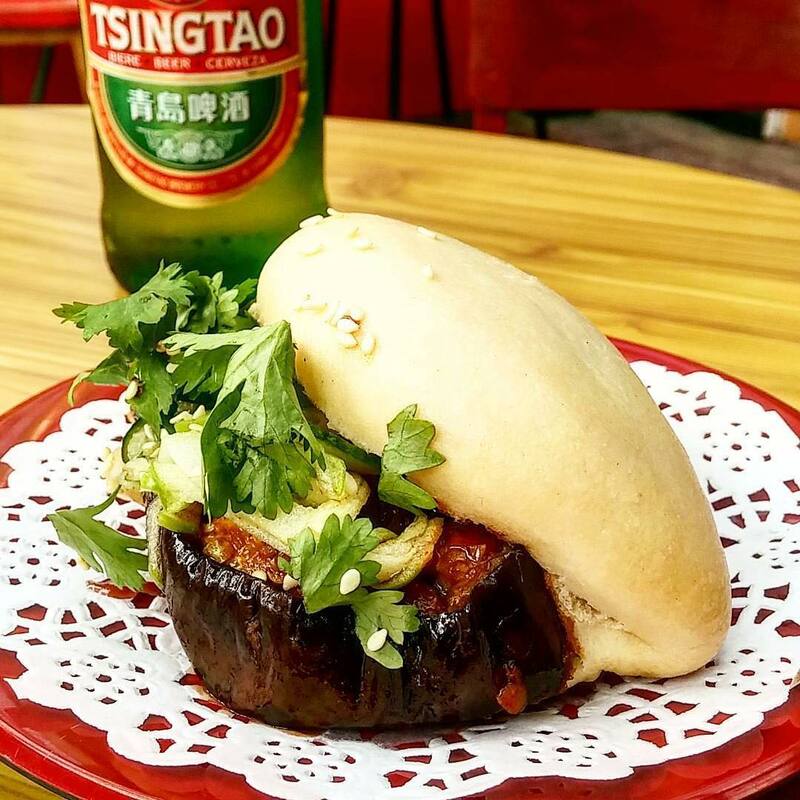 There will also be a small selection of cocktails, natural wine and plenty of Tsingtao to combat and complement the spicy and fiery flavours of the food. Since last summer’s brilliantly reviewed residency in Bethnal Green’s Hurwundeki, Ellen and Pete have been using their time to travel to the farthest reaches of China soaking up inspiration and ideas to bring back East London. Trips to Xinjiang, Xi’an, Chengdu and Hong Kong have inspired an incredibly diverse menu, encapsulating all facets of Chinese cuisine. With the menu changing almost weekly you can expect to try many different dishes of the Lucky and Joy repertoire both young and new. Lucky and Joy will also be launching a new brunch menu. Inspired by HK style cafes and Shanghai street food with a Yunnan style Bloody Mary to top it off."